No response from the engine. — Dead battery? Probably. This baby’s been sitting idle for quite awhile. Do we still have jumper cables or should I call Triple A? …OK, it’s charging, but it may be a little while before we can actually go anywhere. This is post #2500 on The 3 R’s Blog. 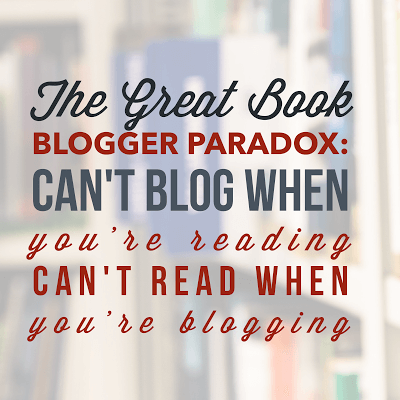 For the record, “start blogging again” is not a New Year’s Resolution. That said, the beginning of a new year does feel like a good time to come back around here. I have missed being here. I’ve missed reading books. I have missed writing about books…hell, I’ve just missed writing, period. Most of all, I have missed my friends and I’m hoping to be seeing a lot more of you soon! I’m not committing to any sort of posting schedule or content plan right now. It will probably be some weeks before I’m a proper book blogger again. At this point, I’m aiming for being a blogger again, period. I’ll have a few things to say about things I’ve missed in another post this week. But like many of us, I’m really not going to miss 2017 and am happy to leave it on the curb. Much of it feels like a blur right now, but it will probably prove one of the most memorable of the early 21st century–despite how much of it we’d rather forget. Dave Barry’s Year in Review throws a little water on the dumpster fire that was the year that was. …is that I have no idea what my First Book of the Year will be yet. (I’m not counting any of the books I started during 2017 that still have bookmarks stuck in them at various points or the ebook I hope to finish by tomorrow.) The odds are good that it will be an audiobook, since that’s what most of my books have been for the last several months, and I’ll choose it by tomorrow morning when my work commute resumes. I didn’t decide on my One Word for 2018 until early this morning, but I do have one and I’ll be posting about it later this week. Happy New Year, everyone! Let’s get this year in gear and get this show on the road. It DOES feel like coming home, to the place that’s always felt like mine. Thank you! Glad to have you back! I hope you had a lovely holiday and are ready to face the new year. I know I am. The fire is done and contained, school is starting up again tomorrow and I have a fabulous stack of books waiting for me. I’ve been thinking about you. Glad the fire is over and hope it wasn’t too bad for you. Happy New Year! I’m happy to be rid of 2017 too and I hope 2018 is better. Happy New Year! I am not sure what to do with my blog. I haven’t used it in months. Happy New Year! I always knew I’d be back here eventually and never really thought about shutting the blog down. Happy New Year! Welcome back! How is the new job? Are you heading into year-end or are you on a different fiscal year? We ARE heading into year-end, but our timelines aren’t quite as tight as for-profit, fortunately. That said, I know our CEO really wants us to switch to a July-June fiscal year so our operating budget aligns with most of our contracts, so my answer to that question could change :-). Happy to be here, and hoping it will become increasingly frequent as the year goes on!